You don’t really expect people to open a new pub in a country town. In true colonial fashion, the one thing you can count on in every rural pocket of NSW is a pub – it generally went in with the first residents – but you anticipate a rambling corner establishment with old postcards pinned up behind the bar and rooms to bed down in upstairs. But the Lord Anson is a brand new addition to Orange’s nightlife. 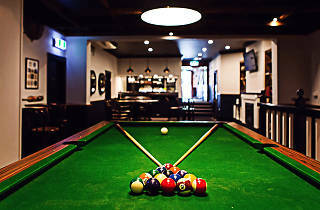 The crew behind the nearby Union Bank wine bar and restaurant took over a former sports bar and nightclub with a particularly unsavoury reputation and have transformed it into a softly nautical watering hole named for Lord Admiral Lord Anson (who is also the namesake of the street the pub is on). 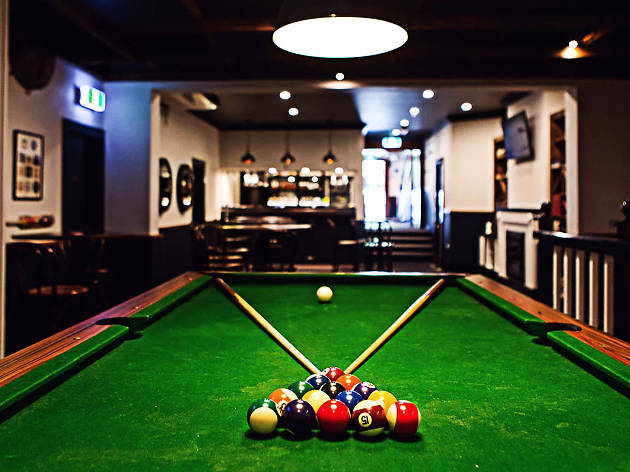 The look is familiar: brown Chesterfield banquettes, navy and white colour scheme, tall bentwood chairs, and old maritime and sporting accoutrement on the walls, plus two pool tables and a whole lot of very new big-screen TVs (there are four in the small main bar alone). But even with the by-the-book aesthetic you can feel the youth of the venue – the playlist a is red hot line-up of Triple J’s favourites ( Alt J, Mumford and Sons, Amy Shark, Meg Mac), the carpets are very clean and the air smells fresh. It’s got a while to go before it achieves that lived-in feeling. In the meantime there are very accommodating staff who will change channels to your preferred game, turn up the commentary and give you tasters of the beers on tap which are on the whole, craftier than you might expect. There’s the extra bitter citrus kicker in the form a grapefruit IPL from Manly’s 4 Pines, and a pleasingly rounded IPA from Pirate Life that backs up the hop payload with malts instead of leaving your palate strung out to dry. From there, it’s a flavoursome picnic as you move through the Hargreaves ESB, Young Henrys Newtowner and a hand-pumped ale from Badlands. And there’s a bigger contingent in the fridges. Of course, in the manner of seasoned parents used to squabbling children, they’ve also saved tap room for Fat Yak, Reschs, Carlton and VB. Everyone is happy this way. To provide some ballast to this boutique brews bonanza they do a serviceable line-up of counter meals here, including a goat curry and a daily pie. It’s not like Orange was low on pubs, but the majority of the town’s more established drinking dens are of the vast and sprawling variety. The Lord Anson is a much more compact cosy affair. It feels a little bit more like a neighbourhood bar than an old boozer, but a nice respectable one where the lights are high, the staff are warm and the beers offer a round-Australia trip that you can do in an afternoon.